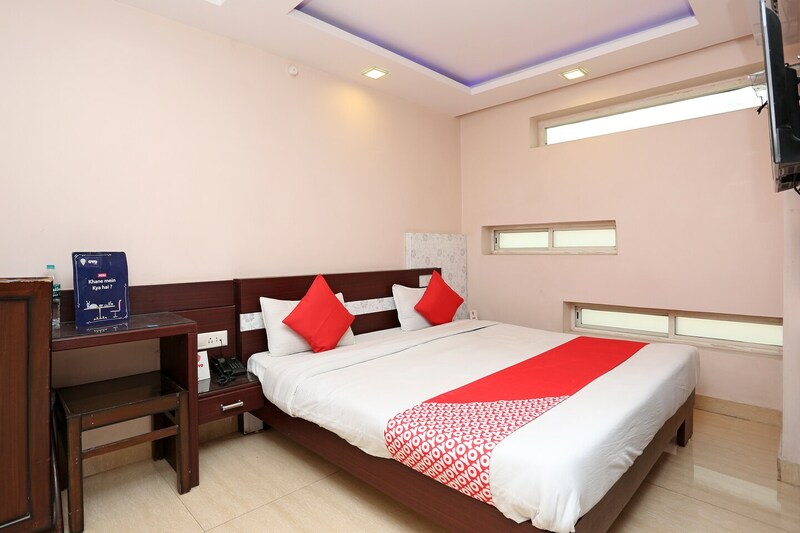 Hotel Kishan Vilas is one of the popular hotels of Bhopal, providing comfortable staying arrangements at affordable rates. It is located close to places of interests, railways stations and bus stations, restaurants and markets. The rooms are decorated in a minimalist tone and maintain a neutral palette throughout. The furniture provided in all the rooms comprise of a mini-closet, a dressing table, chair, a table and a comfy bed. The bathrooms have been designed thoughtfully and have all provisions for the customers to enjoy a relaxing bath. The reception is furnished with a television and sofa sets. The front desk service is easily acessible.